We commenced making Aquarium tanks as a hobby back in the 1990s as a side line because friends ask us to make them tanks ,this progressed to customers requiring stands to put the tanks on and then hoods for the top. 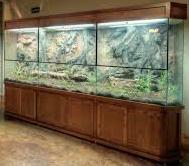 After some time they wanted bigger tanks and Cabinets so their fish and reptiles looked part of the furniture in their homes. So we continued to make a larger range of tanks ,different shapes, various styles of Stands,Hoods and a wide varity of Cabinets . To the point we needed some where bigger to produce the different types of products ..
We now have a Glass Cutting and assembly Factory at Bellmere in Queensland. Plus a Cabinet Shop in Glenwood Qld, with outlets from the Gold Coast as far up as Bunderburg in north Qld . Check our Product rage here. Our team work constantly to improve our product and service to our customers. We have been manufacturing Aquarium Enclosures or Tanks for over twenty years. Our Glazier has 25 years experience with Aquarium glass cutting ranging in sizes from a tiny 150mm x150mm spider enclosure or fighting fish tank to Tanks 3.0m x 1.0m x 1.0m in height. We use a couple of different types of Glass ...our standard glass is a float glass varying in thickness from 3mm through to 12mm although we can cut up to 20mm if required for special enclosures. We also use Starfire glass if requested this is a high transparent glass but the downfall is it is also very expensive. Our Cabinet designer has been working in the industry for over 15 years, as we use raw natural timber in all our Stands,Hoods and Cabinets, you can be assured of a nice product to house your Aquarium or Reptile enclosure. Our Stain applicators have 15 years experience in applying stains and finishes to raw timber giving a quality finish to your Cabinet, Stand or Hood if required. Our aim is to continue to improve in our design and styles of Aquarium enclosures Stands,Hoods and Cabinets. 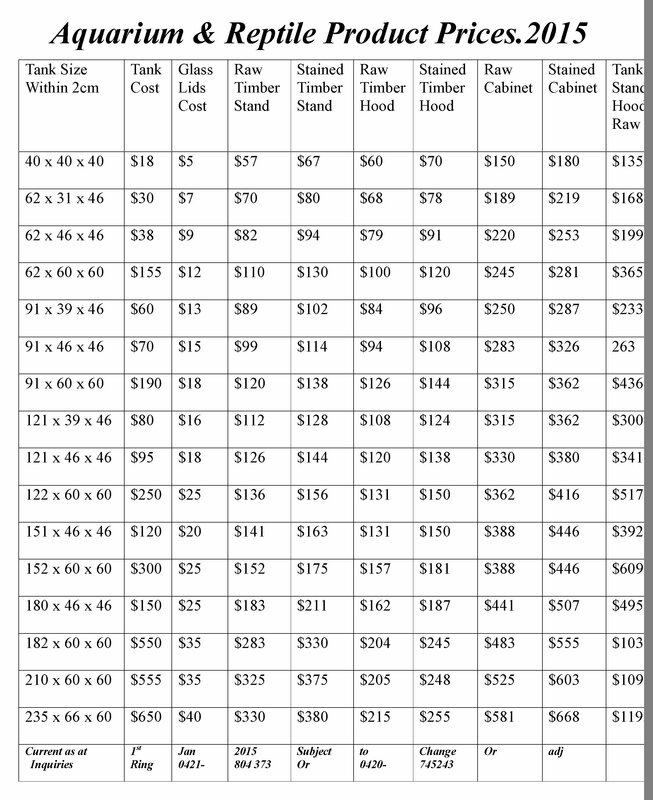 Check out our range of products and prices on our Product rates page.